What is the highest input power of the current charging technology – 40W or 55W? Recently, OPPO, VIVO, and other smartphone makers announced quite amazing data for fast charging. But seems Xiaomi has made something better. Tonight, Xiaomi announced the development of a Super Charge Turbo technology with a power of 100W. As the company claims, a 4000mAh battery is fully charged in 17 minutes. Today, Lin Bin released a video through his Weibo channel, showing how a Xiaomi phone fully charges in 17 minutes. In the video, the Xiaomi phone is compared to the OPPO device. 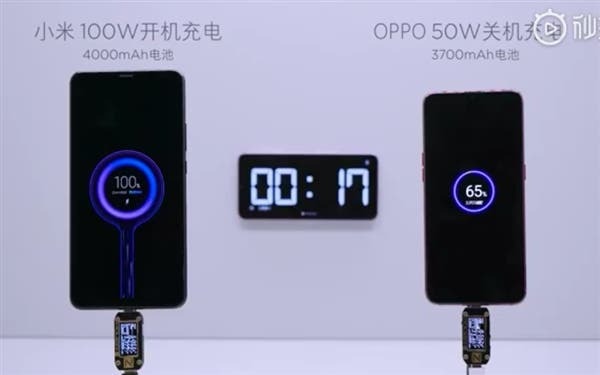 As the latter is offering one of the fastest charging technologies on the market, it turns out, once the Xiaomi Super Charge Turbo is out, it will be twice faster than the OPPO’s technology. Well, the test video shows that at the beginning of charging, the input power is close to 100W, about 18.1V/4.6A after 20%, about 70W after 50%, and about 55W after 80%. As a result, the Xiaomi phone reaches 100% of power in 17 minutes. The compared smartphone is the OPPO R17 Pro, which is known for its highest commercial charging power. Although the latter supports a 50W fast charging, it only reaches 65% (3700mAh) in 17 minutes. 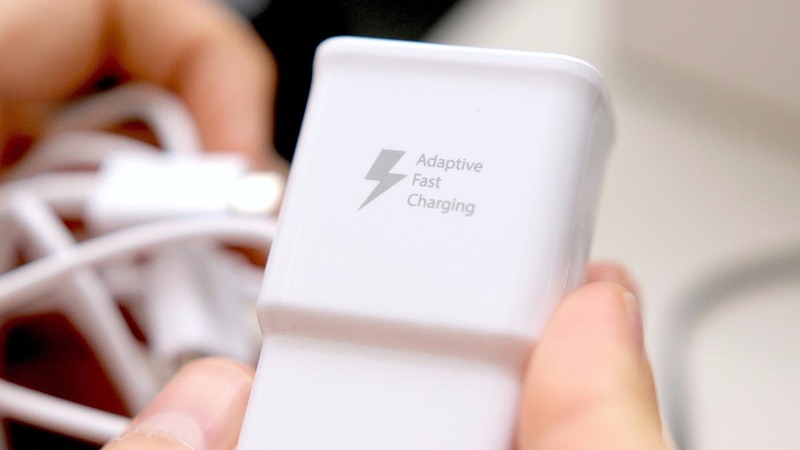 Though the shape of the Xiaomi charger supporting Super Charge Turbo technology will be relatively larger than that of the current products, it is still worthy of attention.